With growing needs within our community, the Bird City Century II Development Foundation is a community foundation that can bring generous donors and worthy causes together in the Bird City/Cheylin community. The Bird City Century II Development Foundation was founded in 1985 with remaining funds from the centennial celebration earlier that year.In 2009, the Bird City Century II Development Foundation became an affiliate of the Greater Northwest Kansas Community Foundation, an organization exempt from Federal Income tax under section 501(c)(3) of the Internal Revenue Code, a public charity under section 509(a)(3), a supporting organization, and a non-profit corporation organized in the state of Kansas. You are invited to join the tradition of extraordinary generosity by adding your legacy to those of others who realize the importance of a permanent community endowment. Anyone can make a gift of any size to the Foundation. Gifts may take the form of bequests, charitable remainder trusts, appreciated assets, gifts of retirement plans, life insurance, or other types of planned gifts. Many people set aside a certain dollar amount; others leave a percentage of their estate, or any assets left over after family needs are met. Community Initiative Fund – The Community Initiative Fund is an unrestricted endowment fund from which the Foundation Board of Directors makes its general and strategic grants each year. Bird City 150th Celebration Fund – This fund was setup to support the public and charitable entities in Bird City to host a 150th birthday celebration in the year 2035.
Business Incubator Fund – This fund makes low-interest loans to small businesses in Bird City, either start-up or expansion, through a revolving loan fund. Cheylin E-Community Fund – The E-Community Fund was established to support business development efforts in Bird City, and within the Cheylin community boundaries, with entrepreneurial focus. Cheylin Schools Foundation Fund – Schools across the state are affected by State funding cuts, and many communities in Northwest Kansas are closing down part of their schools and operating out of less buildings to make these cuts, while other schools are facing the possibility of closing their doors entirely. Thresher Association Endowment Fund – The Tri-State Antique Engine & Threshers Association has created the Thresher Show Endowment Fund as another giving vehicle for their donors. Grants from this fund will directly benefit and sustain the future of the Thresher Show. Donors can donate land, cash, tractors or other property to build the endowment. Kale and Darci Schields Family Fund – The Schields’ Family established a Donor-Advised Fund which allows them to make charitable contributions to local, state or national non-profit organizations for projects they feel are important to them. Robert Brubaker Family Fund – Robert Brubaker, one of the original founders of the Foundation, retired from the Board of Directors in 2009. To honor Robert for his years of service and commitment to the community, the Foundation Board of Directors established a Donor-Advised Fund in his name. Since its establishment, he and his family members have contributed to this fund to further support the causes Robert cares about most. EDGAR & MABEL ROBERTSON SCHOLARSHIP – The Robertson Scholarship is a memorial scholarship made available to Cheylin graduating seniors. A large part of the criteria for this scholarship is community service; it is paid to recipients over 4 semesters, providing a 2.5 GPA is maintained. BUSINESS DEVELOPMENT SCHOLARSHIP – The Business Development Scholarship is a scholarship program offered to individuals wishing to expand their education, and live and work in Bird City. This scholarship is based upon financial need and a commitment to return to Bird City, fulfilling our goal to enhance the business community of Bird City. If you would like more information about planned giving or any projects the Bird City Century II Development Foundation is working with, please send us an email to info@birdcity.com. Much like a retail gift card, Giving Cards can be redeemed to benefit any 501(c)(3) public charity in the United States including schools and churches. 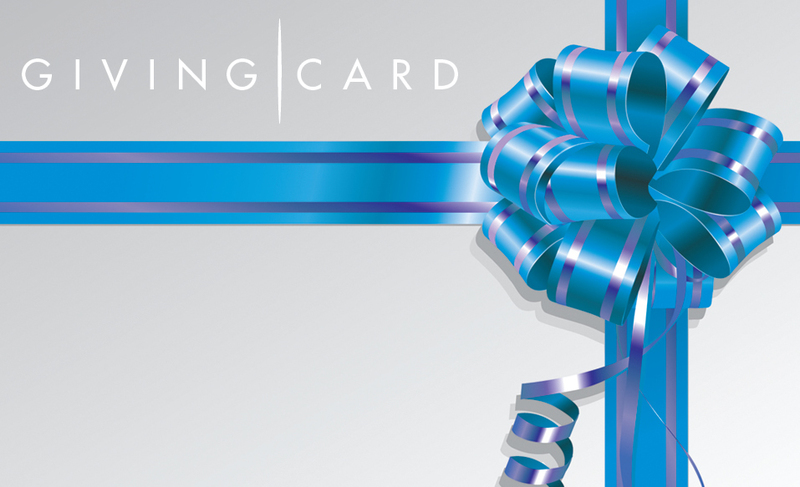 Click here to purchase or redeem your Giving Cards, or for additional information.